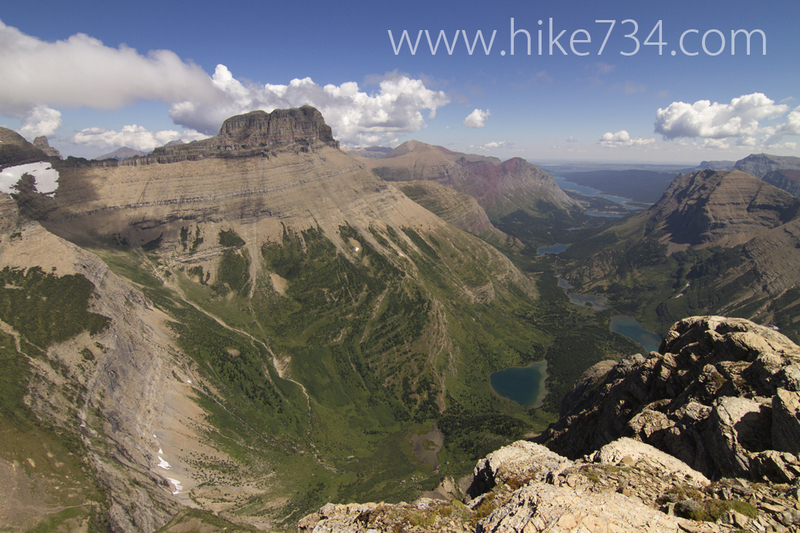 The highest point accessible via trail in Glacier National Park is Swiftcurrent Lookout, the summit of Swiftcurrent Mountain. This staffed lookout has arguably the best views accessed via trail, as it seems to sit on top of the world. Getting to it in a day will require quite a bit of work. The most direct route is from the Loop off Going-to-the-Sun Road on the west side of the Park. This trip has elevation gains of approximately 4,300 feet, all found in a round trip of 12.3 miles. The loop spends much of its time in the burned forest, but the views looking out are still great. The more scenic route is to and from Many Glacier. This route gains less elevation – only 3,500 feet – but is much longer, measuring almost 16 miles. The Many Glacier route is a bit more visually interesting as well, as it takes you past three wonderful lakes, up through mountain meadows, and along cliffs with waterfalls. Trailhead: Park at the loop on Going-to-the-Sun-Road. 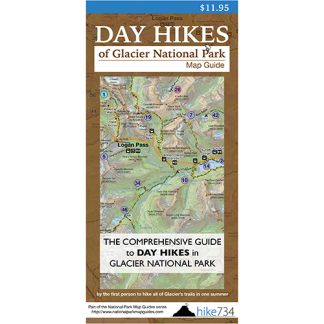 For the Many Glacier route, follow the Many Glacier Road straight to the parking lot for Swiftcurrent Motor Inn where the trailhead is at the west end.